Manufacturer of a wide range of products which include nose masks. 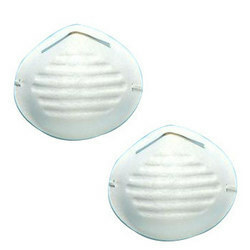 We also offer wide assortment of Nose Mask that is light in weight and are comfortable to use. Our organization offers a wide range of Nose Masks. Amidst our wide range of products, we are also engaged in offering a wide range of high-end developed Industrial Nose Masks to our clients. Due to their high filter efficiency and low breathing resistance, these products are highly demanded by the clients.